The list was also dominated by white authors. Esquire acknowledged it was "an unranked, incomplete, utterly biased list," but that didn't end the conversation. This month, the magazine is trying to make amends. "What can we say? We messed up," the introduction to its new list reads. 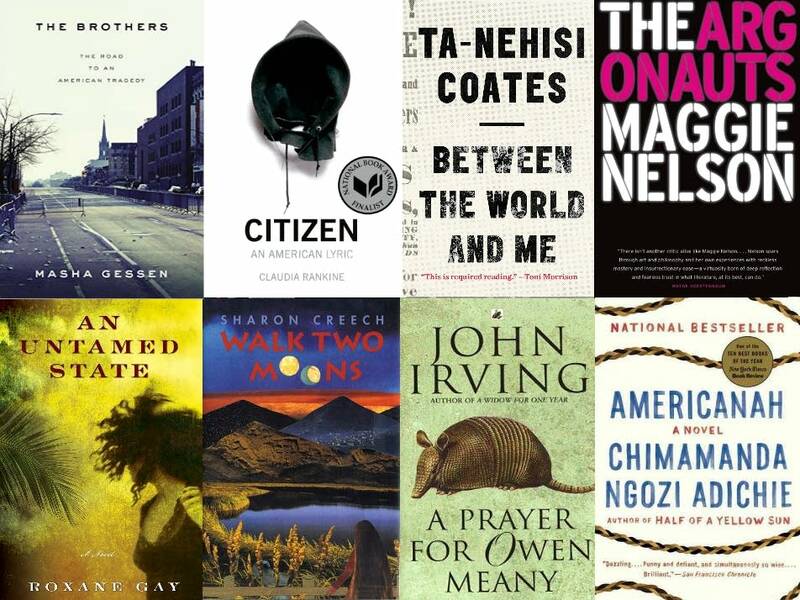 The new list, notably, is titled "80 Books Every Person Should Read." Esquire called on a range of literary personalities to compile the new list, include The New York Times book critic Michiko Kakutani, authors Lauren Groff and Roxane Gay, Jezebel founder Anna Holmes and writer Ashley Ford. Ford said she only briefly skimmed the first list when it came out and wasn't surprised by its lack of diversity. "I was like: 'Oh, this looks like my high school curriculum,'" she told MPR News host Kerri Miller. "I went to a high school that was 90 percent black, and these were the books that were put in front of us as the best of literature ... These were the stories that mattered, these were the writers that mattered." Ford said that after that experience, it took her a long time to recognize herself as a writer, "because I couldn't imagine writing stories the same way Edgar Allan Poe did." Ford and David Ulin, a book critic and author, joined Miller to discuss Esquire's new list and the importance of diverse voices in literature. Esquire's second list wasn't a referendum on white male writers — many are included in the new picks. Instead, Ford said, it was about giving attention to books that are often overlooked, for one reason or another. "All books are for everyone," Ulin said. "That's the whole point of books." "Reading Mock's book is like taking her hand and allowing her to guide you into a world where you have intimate access to her pain, brilliance, and enduring courage to live a full life of authenticity as a trans woman of color," Ford wrote for Esquire. Ulin hailed Nelson's genre-defying book as "a book that I don't even know how to describe. It blurs memory and theory, gender identity, sexuality, family. ... It does things that I've not seen a work of narrative fiction do before." This is the book that everyone is talking about — but it's the book that everyone should be talking about, Ulin said. Coates's book, which takes the form of a letter to his son, was hailed as "required reading" by Toni Morrison. Gessen's book about the Tsarnaev brothers is about so much more than the Boston Marathon bombing, which is only mentioned in a paragraph halfway through the book. It's "an investigation into the process of radicalization from a really complicated, three-dimensional point of view," Ulin said. Butler, an award-winning science fiction author, sometimes gets pigeon-holed for writing sci-fi. Ulin said he hopes more people pick up her books, despite the misconception that "it's genre fiction, so it doesn't carry the same kind of cultural weight." @KerriMPR Parable of the Sower by Octavia Butler. A dystopian novel told from the perspective of a young black woman. Ford put Yuknavitch's memoir on her list for Esquire, and Ulin hailed it as well. "I'd never read a memoir like that," Ford said. The original Esquire list contained very few memoirs, which Ulin said was a shame. "Maybe there's a feeling that memoirs are too overly emotional, which I think is a bad rap the genre gets," Ulin said. • More memoirs: Claire Dederer's "Poser," Frank Conroy's "Stop-Time" and Mary Karr's "The Liars' Club"
Ford recommended two young adult novels as must-reads, including Creech's classic. "I think that YA is grossly overlooked by these lists and by adults," Ford said. When she re-read Creech's book as an adult, she realized "it was probably one of the best books about grief that I've ever read in my entire life, and I constantly recommend the book to people." Gay's novel landed on Ford's list. "It's about women and our bodies and how we usually pay the price for men's wars and battles. It's beautiful," Ford said. "It's a brilliant book for a lot of reasons," Ulin said. He hailed not only its content, which takes on the experience of being black in America, but also its form. It "breaks down our expectations of poetry and nonfiction." "I'd put Baldwin's entire body of work on any list, any time, anywhere," Ulin said. @KerriMPR speaking of sci-fi The Left Hand of Darkness by Ursula K LeGuin. Ahead of its time on gender fluidity.